Mid-year check-in: we beat the MRIS! For the second year in a row, Berkshire Hathaway HomeServices Penfed Realty was ranked in Baltimore Business Journal’s top 10 list of largest real estate brokerage companies in the Baltimore metro area. With 274 agents in and around Baltimore, the company placed fourth in the rankings. 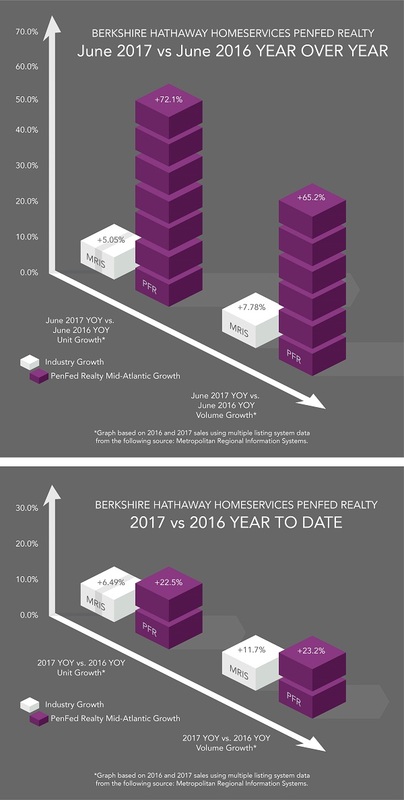 Berkshire Hathaway HomeServices Penfed Realty is committed to providing the highest level of support to our agents and best-in-class customer service to our clients. To find one of our excellent agents near you, visit our website at www.penfedrealty.com. ← Myths v. Facts: Should I Hire a Real Estate Agent When Buying a New-Construction Home?